In Spanish, amigo equals a good friend. There´s no need to add anything to the word to mean someone´s more than just a generic friend because we don´t use the word amigo to refer to someone we just met. In these cases, we refer to them as “alguien que conocí en…” (someone I met at…). You could say un amigo de (a friend from…), to refer to someone you usually meet due to a shared activity (dance, university, etc.). This friend, however, won’t be understood as a close friend but rather as someone you feel affection for whom, nonetheless, you don’t meet aside from that activity. Un conocido (an acquaintance) is someone you are not especially fond of although you might have a very cordial treatment. Of course we wouldn’t introduce someone as un conocido. In these situations it´s ok to simply say their names. Last but not least: un amigo is never ever a date. If your Argentine date ever heard you calling him/her mi amigo/amiga, you might as well broke their heart. For as un amigo in Spanish is the opposite of anything romantic. Is the Spanish friendzone. There is not and there won’t ever be any feelings between you and un amigo. If you ever have to introduce your date to someone else, just say their name. A good friend like you talk/hang out a few times a month, who knows nearly everything about you but who is maybe not the first person you call if you have the blues. 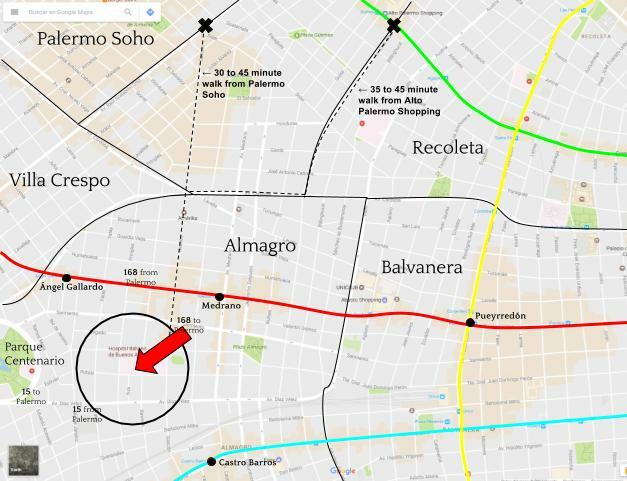 Someone you meet/met at University or other shared activity, who would probably visit you in Buenos Aires for a week or so but apart from that you are not really in touch with each other though you like each other very much. Un amigo de la facu/de danza/etc. Someone you met a few weeks/months ago who is potentially a good friend but you don´t know each other very well yet. Someone who is not potentially a good friend and you probably will not know each other very well at all.